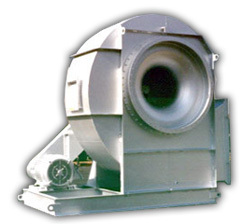 Unimax offers its clients a wide range of Centrifugal Blowers which are developed on various design platform which also incorporates a US based fan technology and the Thermax Fan technology. Our blowers are widely appreciated for their excellent performance as these have been able to deliver efficiency up to 85% and above. 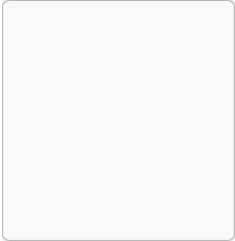 We can provide these in various material of construction viz. Mild steel, Stainless steel, Aluminum, (MS-F-RP) lined, MS rubber lined, or as per specific requirements of our esteemed clients. Our fans can be availed at competitive prices in two configurations Single Inlet Single Width (SISW) and Double Inlet Double Width (DIDW) with split casing as an optional feature. Best in class raw material in C.I. and S.S. Offered in horizontal as well as vertical flow. 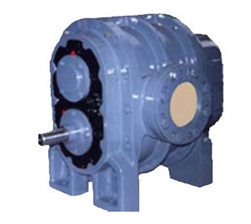 High precision timing gear for long life. Mild steel [blade] design for dust loaded gases. These fans are available in 2 types [viz.] fixed blade type and Variable pitch type. We can provide these in various materials of construction, mild steel, stainless steel, FRP lined and various special alloys. [Unimax] rotary feeds are available in customized specifications which allow you to tune these as per the production process in which they are used. Possessed with ability to handle both powders and granulates, these are available in 2 versions [Viz.] Rotary [Airlock] and Blowing Seal. There is a wide range of capacities from 1-4 to liters / revolution. 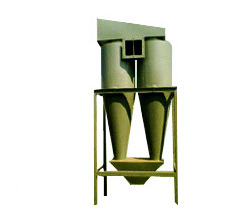 Our rotary feeds are available in customized specifications which allow you to tune these as per the production process in which they are used. Possessed with ability to handle both powders and granulates, these are available in 2 versions Rotary Airl9ock and Blowing Seal. There is a wide range of capacities from 1-4 to litres / revolution. 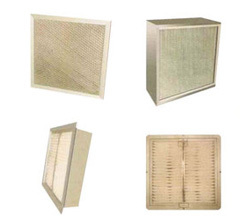 Our separators can be used in conjunction with another dust collector or after filter. [Unimax Multicyclone are a matrix of small cyclones] with common inlet, outlet and dust discharge. [They are available in] a range of 6" to 10" diameter, our multi cyclones are known for their efficiency which is up to 8 microns. We have designed our product in a unique way with respect to Inlet/Outlet proportions, collection cyclones spacing and discharge silos to facilitate uniform gas distribution and proper flow to each individual collecting cyclone for maximum design efficiency. 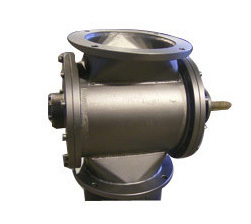 The inlet guide vanes are specifically designed to ensure maximum centrifugal action for the gas entering the cyclone on its spiraling path down the cyclone towards the dust discharge points resulting in an increase in the collection efficiency of the Multi Cyclones. 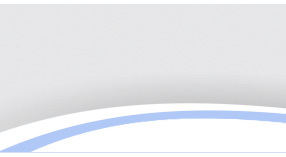 Unimax also specializes in customizing design features to suit specific customer demands. [Unimax] Roof Extractors are powered Ventilation Fans mounted on the roof to exhaust air forcibly they are provided with durable weather proof outer cowls. 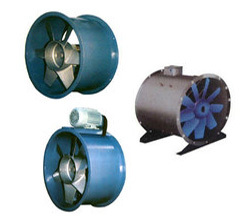 In this type of fans there is a continuous expulsion of indoor stale, hot and contaminated air thereby inducing fresh air into the enclosed space thus maintaining a healthy indoor air quality. 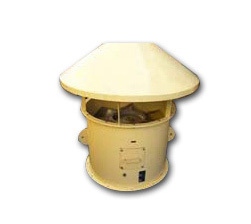 These fans can be used in wall or window applications which experience severe wind conditions whilst all models feature a weatherproof outer cowl. 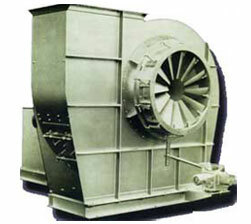 These units are useful for extraction or air supply through the roof, usually preferable in Factories, D.G. 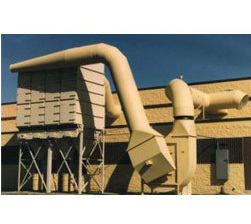 rooms, Steel plant and Foundries and are also installed with ducts to extract air from a particular location. These fans provide effective extraction of air within the premises unlike the fans dependent on wind energy for effective performance. 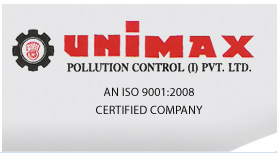 Unimax specialises in turnkey projects for various indoor environmental challenges essentially in ventillation systems, pressurisation systems, fume extraction systems and has the ability to provide customised solution for any environmental challenges in indoor applications. Unimax has a team of experienced and dedicated engineers , designers and an efficient site installation team which makes us a highly profession turnkey projects mangers making the customer experience a positive one every time.